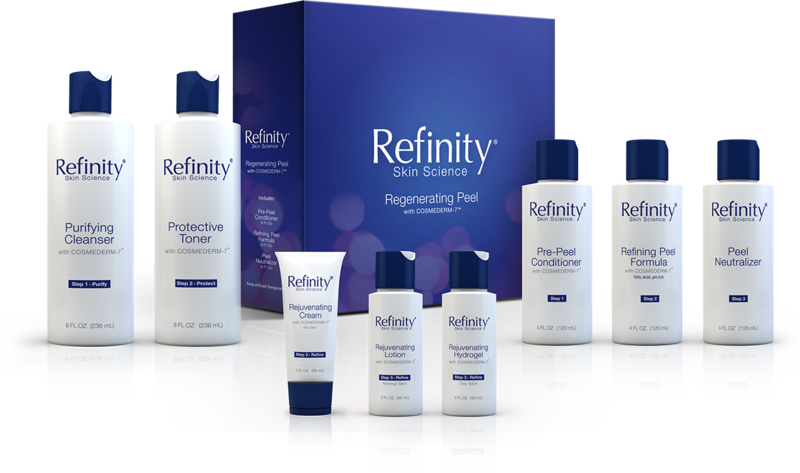 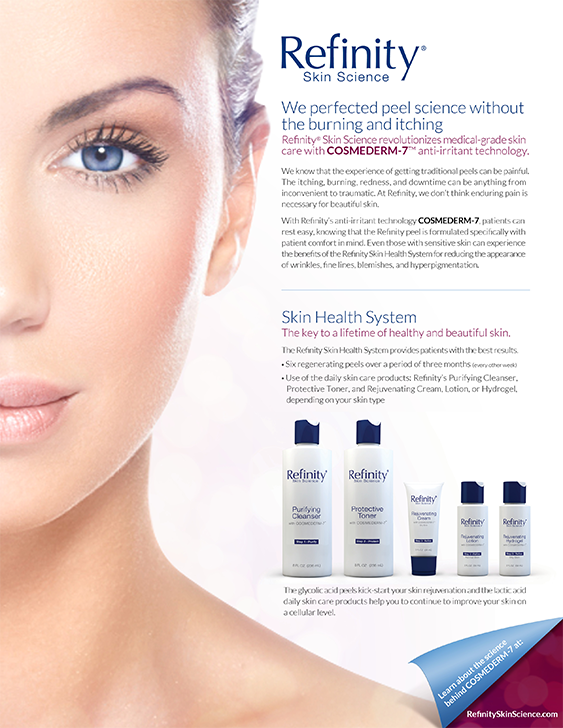 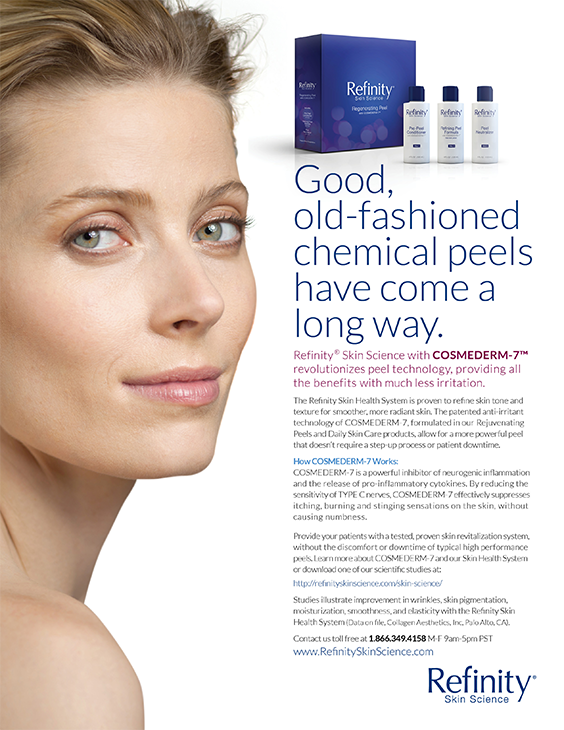 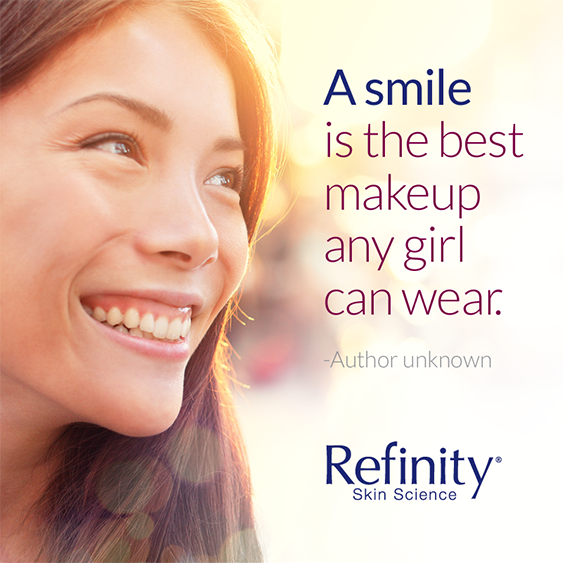 Refinity was looking to rebrand its professional medical-grade peel and consumer skincare line. 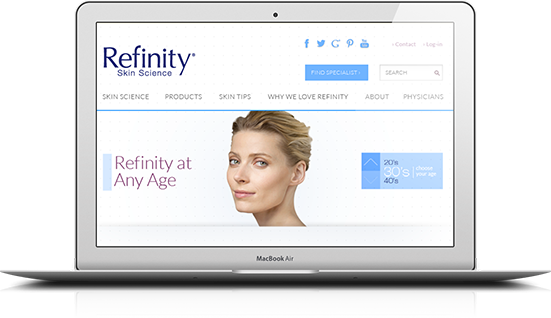 Our San Diego brand development team started with defining the brand’s messaging platform to differentiate its key active ingredient, Cosmederm-7, that reduces irritation while delivering effective results. 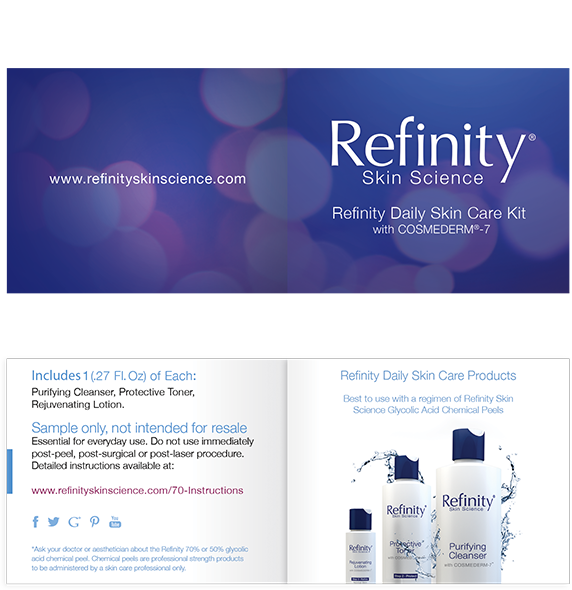 Our strategy targeted the professional community to gain testimonials and product endorsements for this groundbreaking peel formula and supporting skincare products. 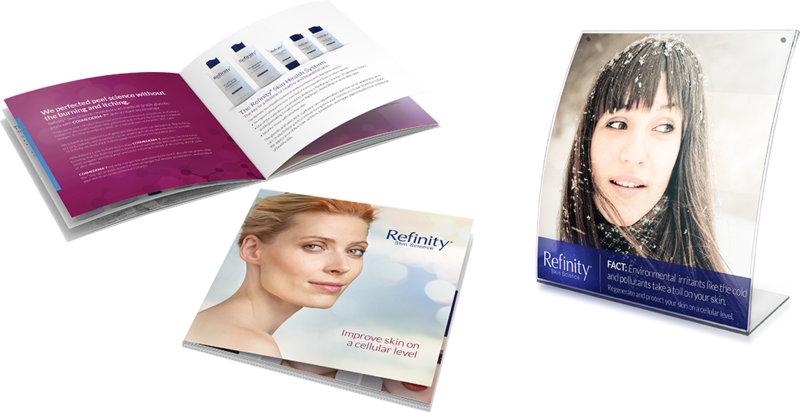 Programs included; messaging, logo identity, packaging, e-commerce web design and development, advertising, and support collateral. 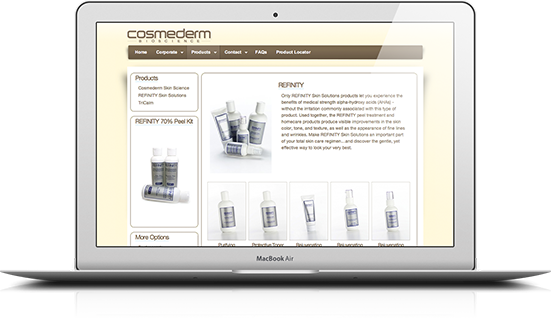 Since its launch the brand continues to gain awareness and sales momentum within the professional community.